With so many schools of thought out there telling us what exactly works for social media, we can sometimes become confused and overwhelmed when dissecting all the information and trying to figure out which set of contradictory information is correct. While the optimal methods of social media interaction for businesses and websites are not set in stone, there are some common sense solutions and methods that can be utilized to help achieve success and avoid major mistakes. 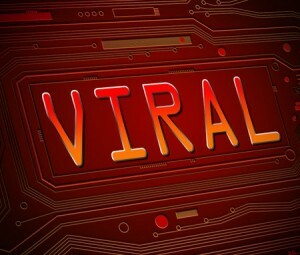 If you have been considering a campaign to create viral content, then you will want to be sure to never make the following five mistakes. Whenever you are publishing a piece of content on Facebook or Twitter, do you consider what times those platforms are most active? By determining which times are best for publication in terms of sheer traffic, you statistically have a better chance of more people seeing your content – which is a prerequisite for a viral campaign that is pinging your blog or site. As the viral content grows exponentially, those additional members you reached during peak times ultimately make all the difference. When dealing with social media, many webmasters tend to focus on how much their content is being shared on any given platform. While this is crucial and a key metric of your content’s performance, the real goal should be to drive traffic to your site – unless the content in question is independently hosted (such as a video on YouTube, in which case your site should be plugged in the video or in the description). Someone who is reading your blog may or may not comment, but there is a boatload of evidence to suggest that people may post, share and read independently of one another. This means that one person may read your post in the morning, share it in the evening and comment on it the following day. There is much demographic information available in regards to browsing habits; depending on your target audience, you can build a campaign around this information. Too many people make the mistake of only posting their content once to each of their social media outlets, expecting it to take off with just a mere whisper. A properly calibrated social media campaign will “recycle” posts and pieces of content that are well-received, posting them again and again in order to extract as much link juice and traffic from them as possible. They are your creations, after all: why wouldn’t you want to share them more than once? Are you providing just one or two social sharing options to use for pinging your blog across social networks? While most people only share content through one social venue, limiting the number of options you have when it comes to sharing can be disastrous for a viral campaign. Generally speaking, sites that offer four or five sharing options see a 10-15% increase in social shares when compared to sites that only have three social sharing options. By liberating your site from the constraints of inadequate social saturation, you lay the groundwork for a more successful future in viral content. Are You Making These Terrible Social Media Mistakes? « Are You Losing Influence Online? You Can Turn Things Around!